Arts lecture at The Bridge, Yarm Road, Darlignton, with Sandra Pollard. 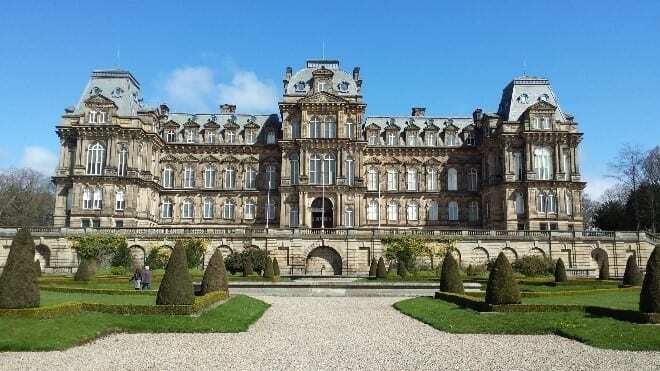 The Bowes Museum, housed in a ‘French Chateau’ on the edge of the Pennines. Ithas a very important display of art, ceramics, furniture and textiles, most of which were collected by John Bowes, an ancestor of the late Queen Mother, and his French actress wife, Josephine. This lecture will tell the story of their fascinating lives, their passion for collecting and this remarkable building with some of the very many truly amazing pieces of art within. As a former Trustee, Sandra wants more people to know about this remarkable and memorable asset to the north of England and this arts lecture will be a helpful in gaining more insight for a future visit to Bowes Museum. Email info@thebridgedarlington.org.uk or call 01325 243864.